Considered one of the safest and most user-friendly types of yoga, Iyengar yoga focuses on the proper alignment of the body. All teachers are trained to rigorously high standards to maintain the Iyengar care and precision. 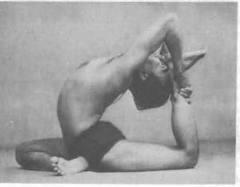 The unique method of using props and the sequencing of the poses highlights some of the reasons why Iyengar yoga is the most respected and referred styles of yoga taught worldwide. B.K.S Iyengar is considered the world’s greatest living yoga master. He has refined and perfected a technique that is taught worldwide. Iyengar began life as a frail and sickly child — but now, at the ripe age of 94, the yoga master can still stand on his head and hold a conversation at the same time. Seeing that the general state of his health was so poor, his brother-in-law, the well-known yogi, Sri Tirumalai Krishnamacharya, recommended a regime of yoga practice to knock him into shape and to help with life’s trials and challenges as he approached adulthood. Over the next seven decades, Iyengar used his own body as a living laboratory to explore how different yoga postures can alleviate health problems. He used props like ropes, belts and bricks to help even the elderly, weak, and the inflexible who all experienced the yoga’s therapeutic effects. 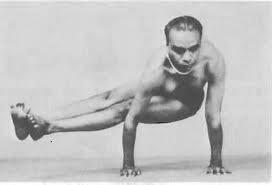 But Iyengar says yoga goes beyond the physical motions: “The practice of yoga asana for the sake of health, to keep fit, or to maintain flexibility is the external practice of yoga,” he continues in Light on Life. 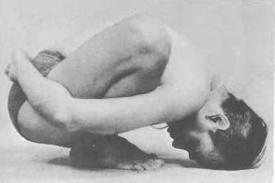 “While this is a legitimate place to begin, it is not the end… Even in simple asanas, one is experiencing the three levels of quest: the external quest, which brings firmness of the body; the internal quest, which brings steadiness of intelligence; and the innermost quest, which brings benevolence of spirit”.